Font and typography are two of the indispensable components of a web design. These two vital aspects in the web design process consume a lot of time and energy of the designer. It won’t be wrong to say that the success or failure of a website is primarily decided by its look, with the font style and typography playing a pivotal role. If you too are a web designer who’s engaged in designing a flawless website then this is a blog that would serve you with handy tips on choosing from a range of font styles and typography. So, let’s get started and take a closer look at these tips. In the wake of impressing their clients via eye-catchy fonts/typefaces, a majority of web designers tend to search for fonts that look amazing but lack in the potential that’s required for conveying the message of the website owner. Thus, no matter how visually rich a new font style may be, it might not be suitable for expressing your individuality as a brand. By understanding the difference between a stylish and an appropriate font style, it would become convenient for you to choose the right one for your website design project. 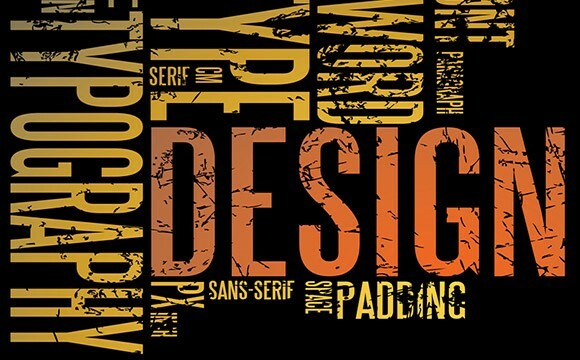 While deciding the typography for your web design, ensure to choose the one that shows utmost professionalism. With a professional appearance of the website, it would become easier for the site owner to gain the trust of the visitors. Also, it would become flexible to patronize the product/service on designing the website with the right mix and match of aesthetics and professionalism. Although you might have an incredible collection of typefaces, stuffing all of them won’t embellish your web design. It is advised to use two typefaces in a single web design and avoid overloading it with ample number of typefaces. Using more than two typefaces can result into distraction and an overall cluttered effect. As per conventional web design technique, even if you’re using two distinct fonts for the web design, the same should not conflict. Apart from this, one of the most incredible means of achieving “concord” for your design is using different fonts belonging to the same typeface family. For example, Lucida and Lucida Sans or Meta and Meta Sans are different fonts that belong to the same typefaces viz: Lucida and Meta respectively. Choosing the font style is one of the most tedious jobs for a web designer. While choosing one for your design, ensure to have a look at the amount of spacing between each letter. While some fonts would have the letters spaced out nicely, other would have them hurdled together. Although both these font styles have different appeal to the visitors, it is crucial for you to pick the one that reinforces your brand in the best possible way. A web design loaded with texts cannot standout from the crowd. With a majority of internet users not even bothering to read the messages embossed with a cluttered design, it is recommended to user proper white spaces for enhancing the readability and understandability of the text within the design. The usage of white spaces doesn’t indicate that you need to cut down on the fancy part of your messages, its just that a wise usage of white spaces will take your design to an entirely new level of excellence. The accurate use of white spaces within the web pages will guide your visitors about the areas available within your website. Now that I’ve shared with you the easy-to-follow tips on choosing the fonts for your website, its time for you to go ahead and start playing around with the fonts you feel are best suited for your web design. Always remember the fact that it is the font that conveys the brand’s message and compromising on its quality can leave you with a website that’s incompetent in grabbing a large number of eyeballs.